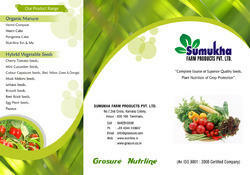 Grosure Seeds, incepted in 2012, has been operating as the exporter, trader & supplier of Agriculture Seeds. We source our seeds from authorized vendors and the product range is wide and comprehensive. The widely demanded products are Yellow Capsicum Seeds, Red Capsicum Seeds & Green Capsicum Seeds. The products are highly regarded by our esteemed customers for being resistant to diseases and pesticides, having a long shelf life and being reproductive. We procure our products from an authentic vendor base for assuring optimum quality. The products are made to go through stringent parameters of quality control tests in the laboratory and fields. Our warehouse is spacious and free from dust, infestation by pests or moisture. It is systematic in arrangement for eliminating hassles during packaging and delivery of bulk orders. We have a major transportation network for meeting with the deliveries within the mutually agreed time period. Our professionals are the biggest asset for our organization. We have administrators, procuring agents, quality controllers, warehouse personnel, transportation personnel and sales executives. Our client list is wide and is being maintained for long durations as we are a client centered organization and offer products at industry leading prices. Our mentor, Mr. Saravana Kumar, is the constant source of inspiration for the organization. His rich knowledge base has enabled us to achieve heights of success in a short period of time. Our clientèle is wide and has spread its roots across the globe. We are among the reputed names in the industry for supplying our customers with products, which are hybrids of high grade plants. The products are procured from authentic vendor base and checked extensively for assurance of quality including easy plantation, low maintenance, disease resistance and fertility. Our committed efforts and customer oriented vision has earned us a huge clientele across the globe along with huge appreciations. We aim to become the foremost preference of customers regarding hybrid seeds. 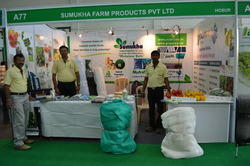 Participated Agritech Trade Show in Coimbatore. The vegetable industry uses 100% open-field crops. The most important traits for our varieties are, therefore, a high production, good resistance against diseases and good field flexibility. This means, for example, good resistance against extreme weather conditions, a long harvesting period and a good storage life after harvesting. Furthermore, it is becoming more and more important that crops are suitable for mechanical harvesting, and the internal quality of the crop must be good. Industry vegetables are an important product for retail markets, food service and food industry. By being in close contact with important food suppliers, we are able to make the right choices in our breeding programmes. We also pay special attention to organic production. Our aim is, however, to expand our range with more vegetables. But besides expanding our range, we also want to increase the usage possibilities. 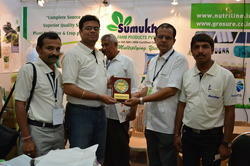 Together with our customers we look for the best product after processing to satisfy consumer needs. Our team of workers is dexterous and dedicated towards the goal of the organization. We have administrators, procuring agents, warehouse personnel, transportation personnel, quality controllers, packaging staff and sales executives. They are well versed with their individual work and committed to our customers for providing them with high quality seeds. We have a reliable vendor base and their track records are constantly checked by our professionals for delivering products in tune with the international standards and prevalent market trends.